Running around Kepong looking for food is not our usual chores and shame to say, our first time to Kepong is when we visit Fei-Fei Crab Restaurant in Desa Aman Puri. This shop has resides in Kepong for 4 years and when we hear the shop’s name, the first thing that comes into our mind is just crab, crab, crab and still crab. 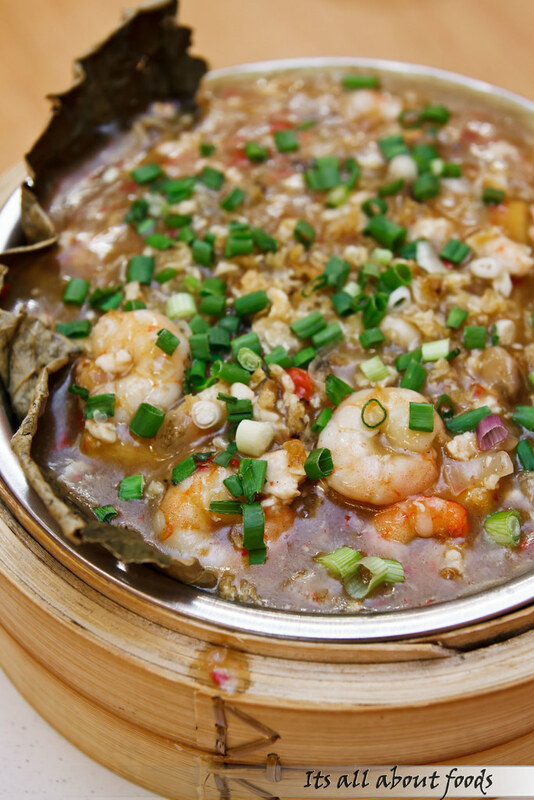 However, they actually serves not only crab, but also a variety of delicious Chinese cuisine as well. The shop is located at the quieter corner among all shop rows, but the catchy and cute shop signboard makes this shop easy to be allocated. We enjoyed our meal there, and every dish we have tried fare good. The first dish on the table. Yeap.. it is named 2012. 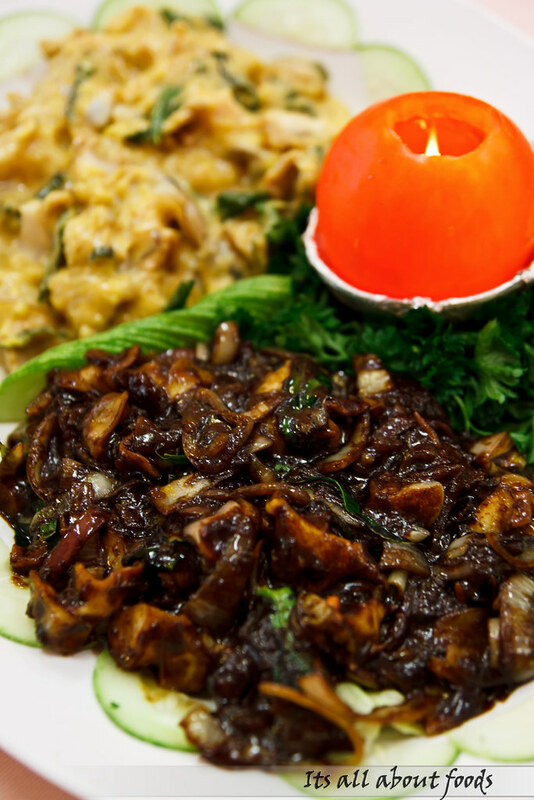 We have no idea what this dish is until it is served on the table. Serving is huge and at the middle of the plate, sits a deep fried yam ring nestled with delicious deep fried chicken coated with mayonaise sauce. 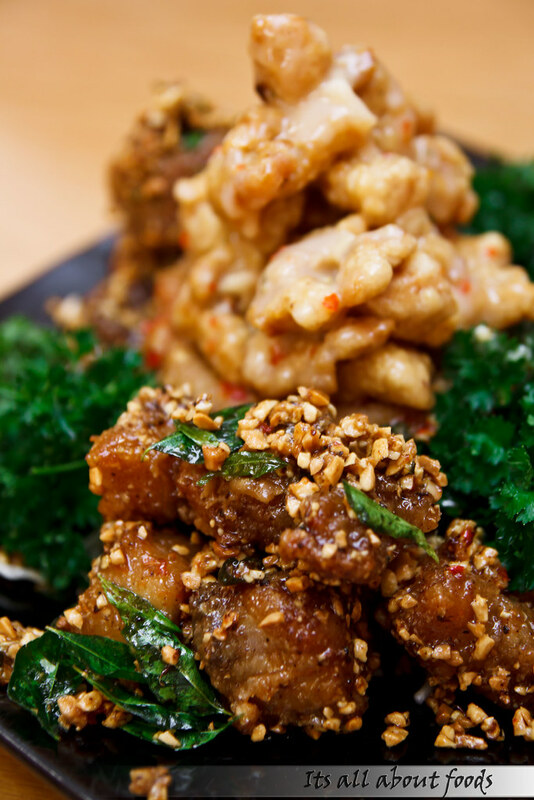 Lacing besides are the deep fried pork rib which are equally tasty, crispy and what makes this pai guat better is the sweet caramelized peanuts coating the meat, giving an extra fragrance and nutty texture. 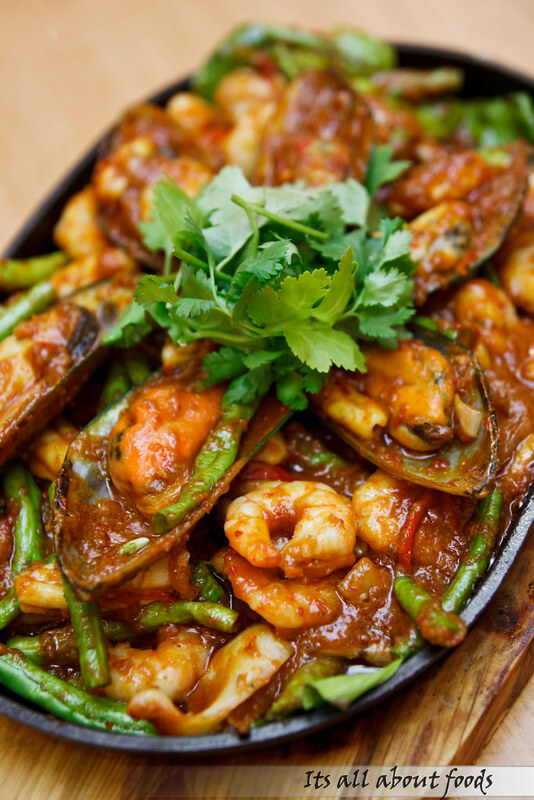 Served secondly is the Sizzling Seafood Platter which have long beans, brinjals, stinky beans, prawns, mussles, bamboo clams and squid stir fried together with chilli sambal. Everything in this platter is fine, where the seafood is fresh and the sauce is packed with flavour too, but we find the stinky flavour of stinky beans has infused into the sauce, which some may not be able to withstand. However, it is still an ideal platter that will make seafood and spicy food lover glee. “Hmm..prawns in braised meat sauce” – Our first thought when it is served. When we take a scoop of the sauce then only we realized that it is more than just prawns and meat sauce. 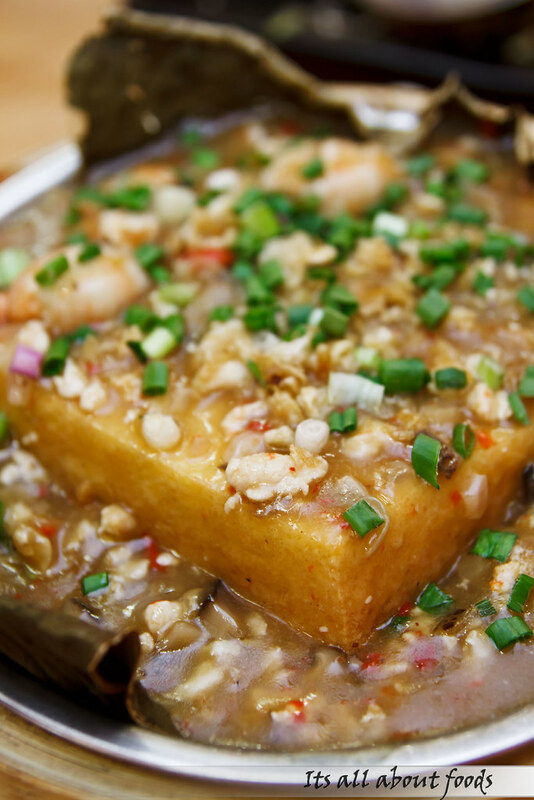 Hidden beneath is a huge piece of square tofu, smooth and baby soft. No doubt it is just a simple and normal dish but it has earned extra marks from its appealing presentation in bamboo basket with lotus leaf. Salt Wrap Fish, one of the restaurant’s specialities other than crab. As it is named, the fish is done with salt thickly wrapped outside the fish. 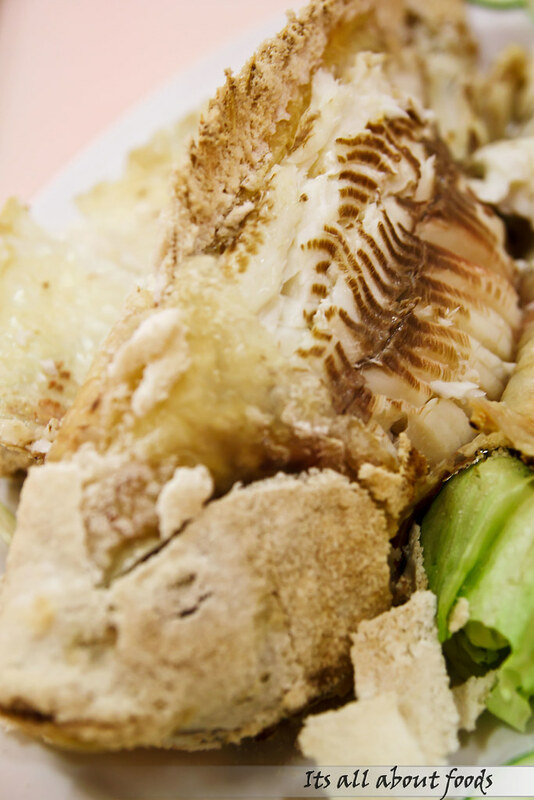 To ensure best flavour, the fish need to be caught freshly from the aquarium upon order so that the fish skin still has a gooey layer which allows fine salt to stick properly to the fish. Preparation is complicated and need more than an hour, so it is better to call for advance order if you want to have this dish. The salt is not for consume and need to be peeled off together with the fish skin. 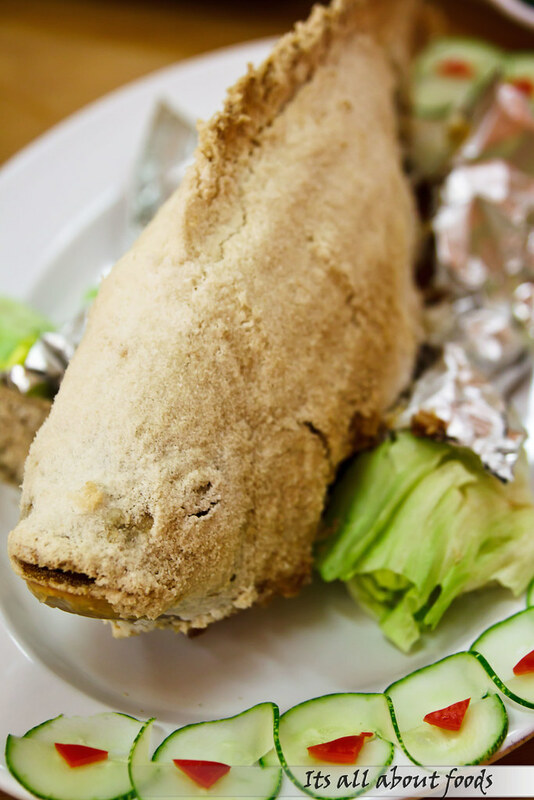 The inner flesh is soft and delicate with a hint of light saltiness, having the fish with the finely chopped ginger and onion that is stuffed within the fish stomach is heavenly. We like. 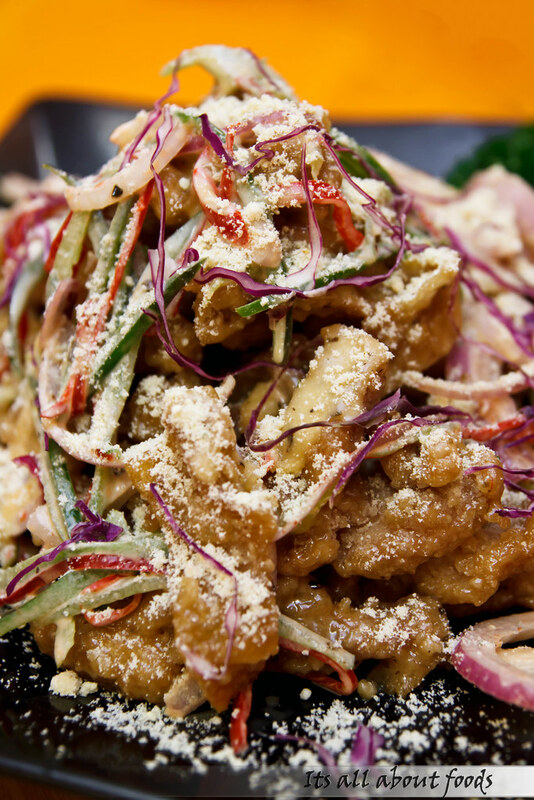 Crunchy deep fried chicken with tangy flavour sauce, garnished with sliced onions, capsicum, cabbage and sprinkled with cheese powder. When the cheese powder meets the pipping hot deep fried chicken, it melts within, giving out cheesy and salty sensation that taste so good, making us can’t stop popping it into our mouth. 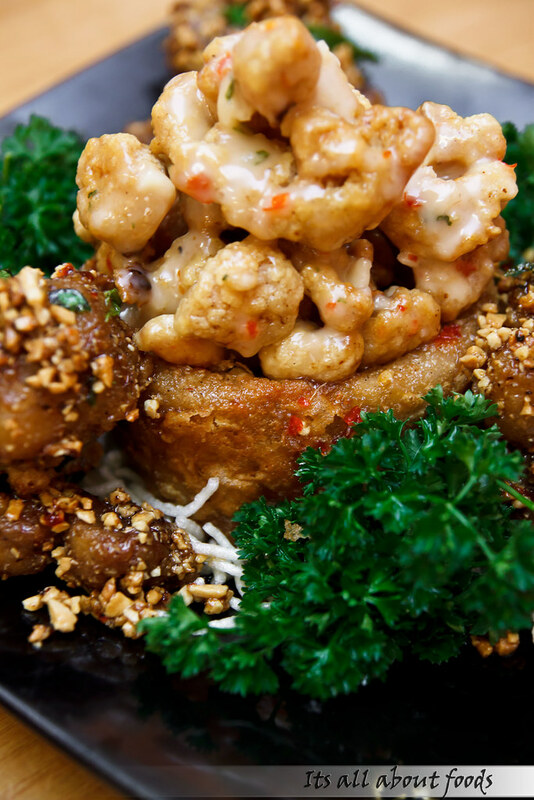 An addictive dish which is good to go with beer. 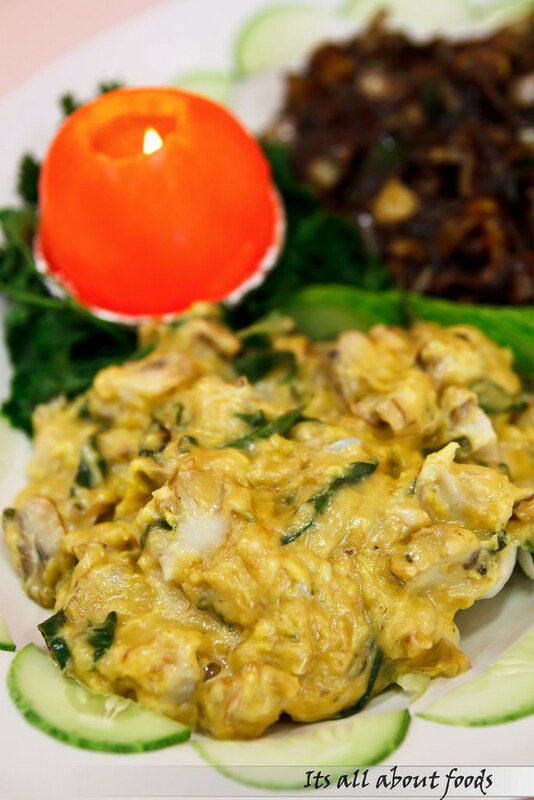 Coming next is an East meets West dish, where one portion of the Japanese snails is cooked in Kam Heong style, while the other portion is in butter cheese style. The Kam Heong Japanese Snails are oozing with an intense spicy flavour, and the Butter Cheese Japanese Snails on the other hand, are thick and creamy. Both fare a good score, and it is pretty hard to decide which one is better. Draw. 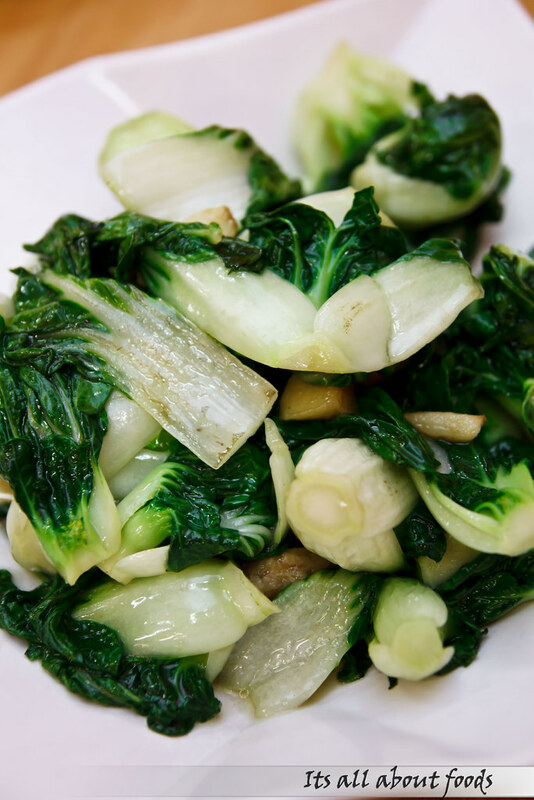 Some greens to balance up the diet, too hard to draw our attention when other dishes look and taste better than this. Star of the day. Long awaited, comes out last, and with a flavour that surprises us- Peanut Butter. 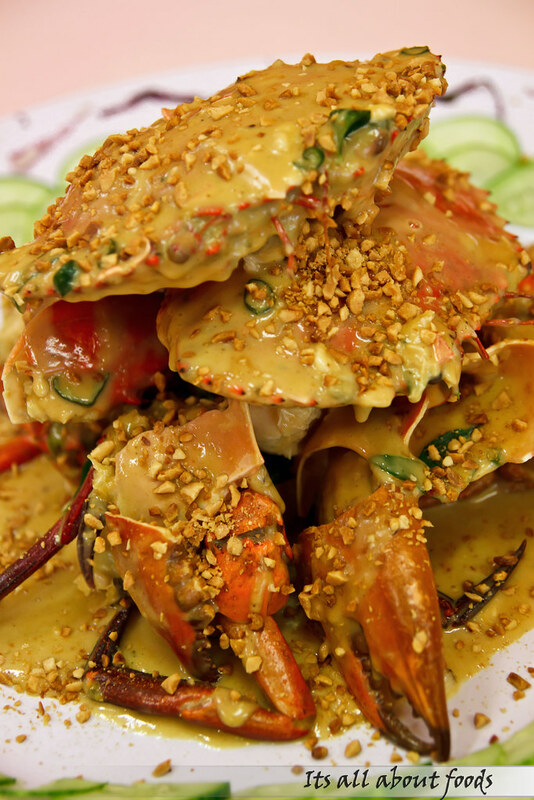 We have eaten before Kam Heong Crab, Tomato Sauce Crab, Salted Egg Crab, Steamed Crab but not Peanut Butter Crab. The sauce is creamy with slight saltiness, pair so well with the crab, unexpectedly. 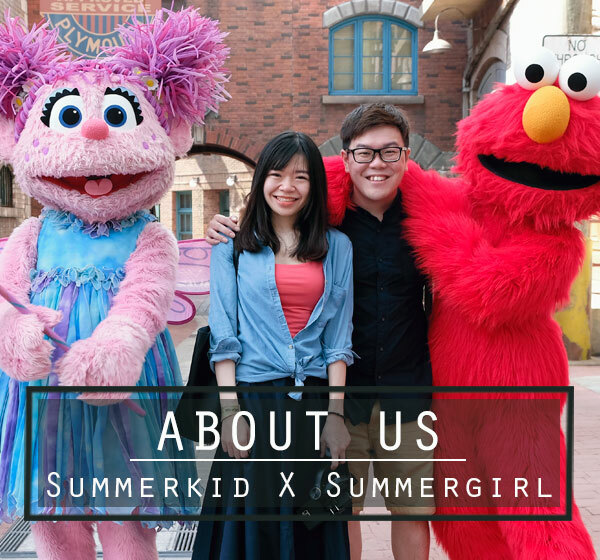 Flip through the menu list, we find that they have other interesting flavours available such as coffee cheese crab, Sweet Corn Crab and Honey Lemon Crab. 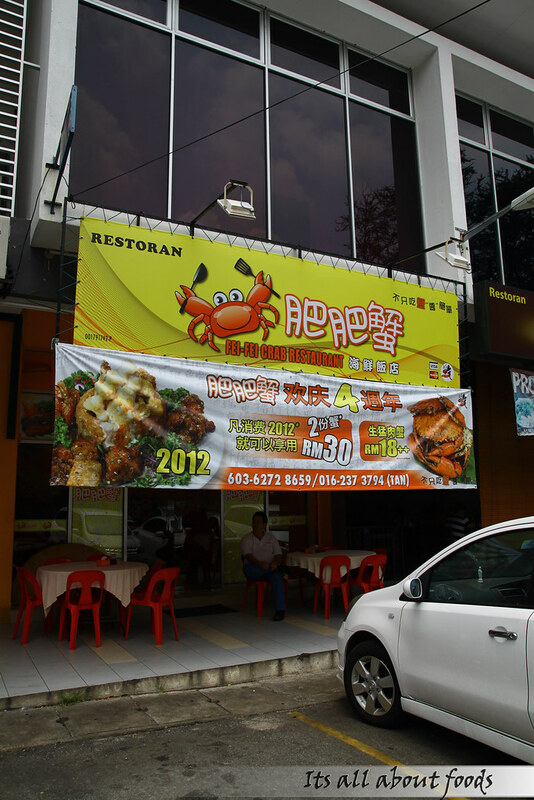 To us, Fei Fei Crab Restaurant is a good place which is worth a second and third visit when you wish to dine in a Chinese restaurant. This is all because we feel that the chef takes an effort in creating more dishes which resembled those dishes we normally find in a Chinese restaurant, but differ in their own way when dished out. You can always find new surprise from their menu- 2012 is one of them.